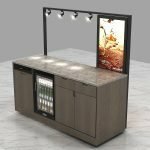 This is a indoor used juice bar and juice cart for sale. 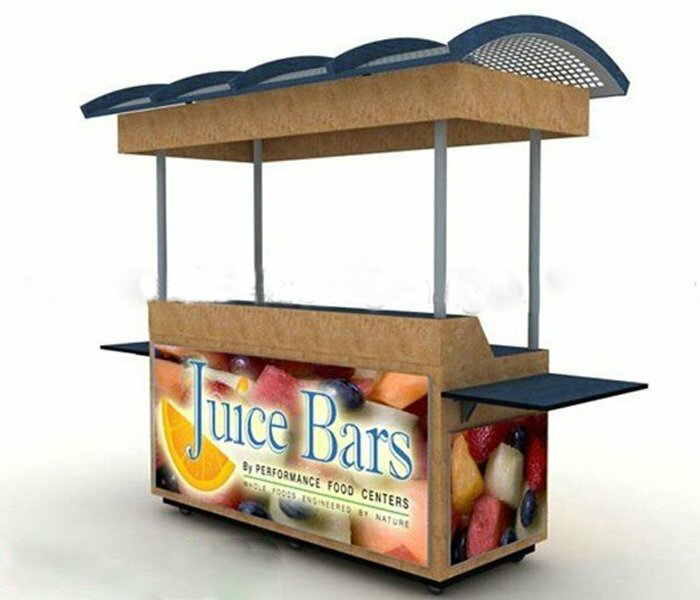 you can use this juice cart sell fresh fruit , or fruit juice , fruit tea or other types of business. 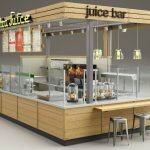 juice cart is a smaller juice kiosk for most of business starter.When plan to open a juice business in mall , You maybe need to start by juice shop or juice kiosk .If you are not so sure about the invest ,Start with a smaller juice bar , juice cart will be a vise choice. The size of this juice cart for sale is 2.4*0.8 meter , but we can customize the cart into any size you need. The price of this juice cart is 2300 USD. 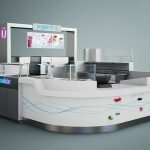 However ,the cart price will change if the size of the kiosk changed. [Material] MDF with baking, wood veneers, wood paper, etc.